Buy a happy rock and Happiness Bank book for only $30. The book normally retails for $25.00 and the happy rock for $15.00. A saving of $10.00! 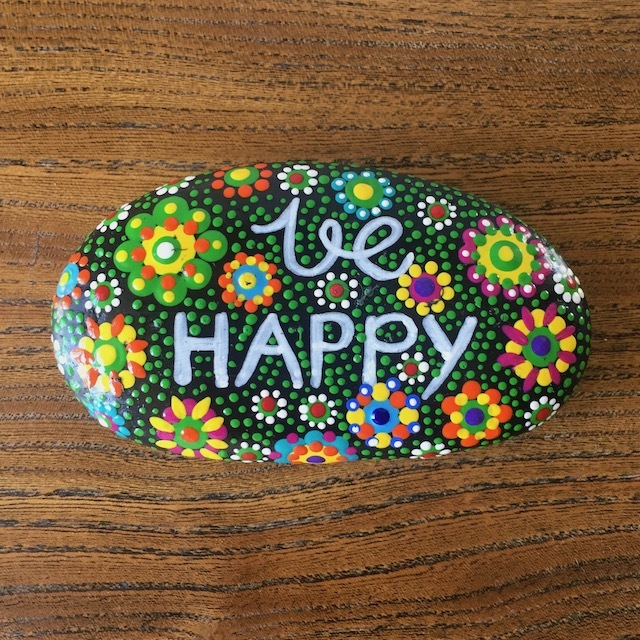 Give the gift of happiness with a joyful book on happiness and a happy rock hand painted by Claire from the Happiness Bank. 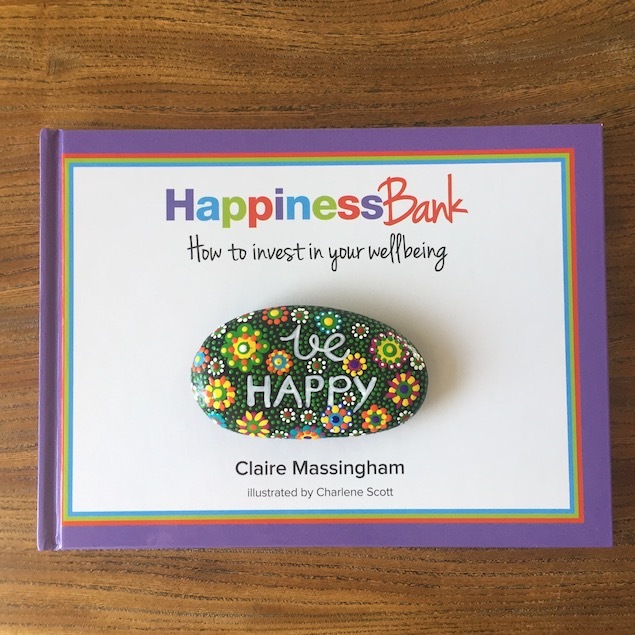 The book, Happiness Bank – How to invest in your wellbeing, is written in an informal and relaxed style and with beautiful illustrations that complement the text, this book shows how one can invest in their wellbeing and create sustainable happiness in their life. The rock has been made with love and is a wonderful complement to the book. 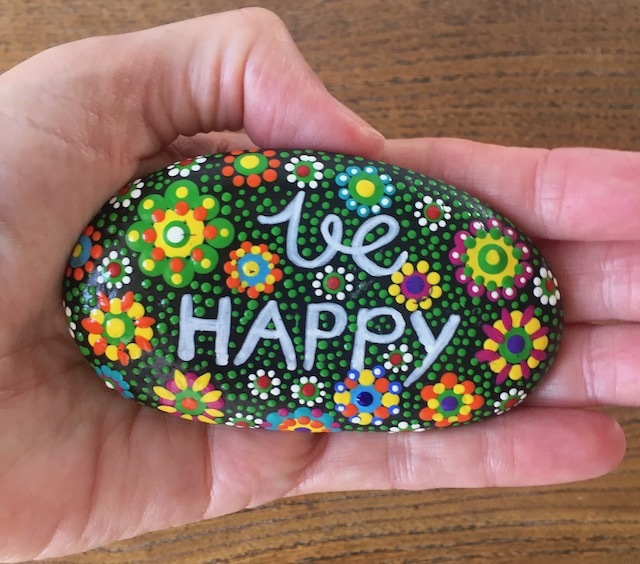 The idea behind a happy rock is to have something tangible that one can hold in their hand, close their eyes and feel happy rock magic flow into their heart. It's a great way to pop a deposit into ones happiness account.